Nami Mori 2 "Neko Busou Each Bandai Neko Busou by Bandai Hobby. - [Neko] A new feeling that enjoys drawing [jacket] on [figure] parts and equipping it [parts] Hobby! 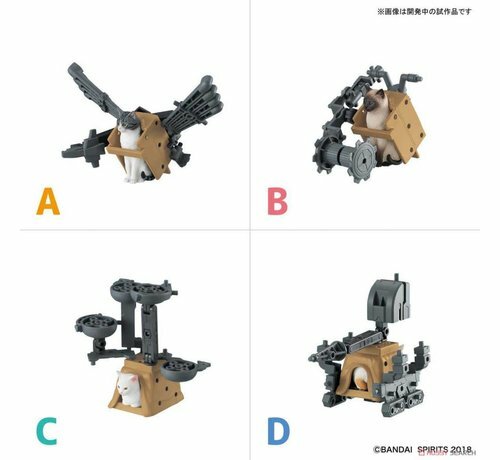 - Following the first series, the prototype is in charge of Mr. Osamu Moriguchi who is active as a cat modeling artist. Facial expression and coat, paws and balloons, to details. - The second mechanical design is in charge of Mr. Kuramochi Kyorieu. Show a strange silhouette change from animal type to machine type. 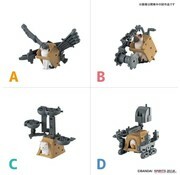 - [Rebuilt] can also be recombined into a mini-mecha state alone. Combinations are free with jackets and 3 mm joints mounted on each bowl. - By combining multiple, you can rearrange it to be even bigger. Combination with the first bullet is also possible. There are many thumbs up as many users! - There are four kinds of A, B, C, D. A is an Egyptian sitting cat [Shirosaba] and a crow's set of ages. B is an Egyptian sitting cat [Siam] and a snail set of a snail mechanism. C is a barrel sitting cat and a set of rats. 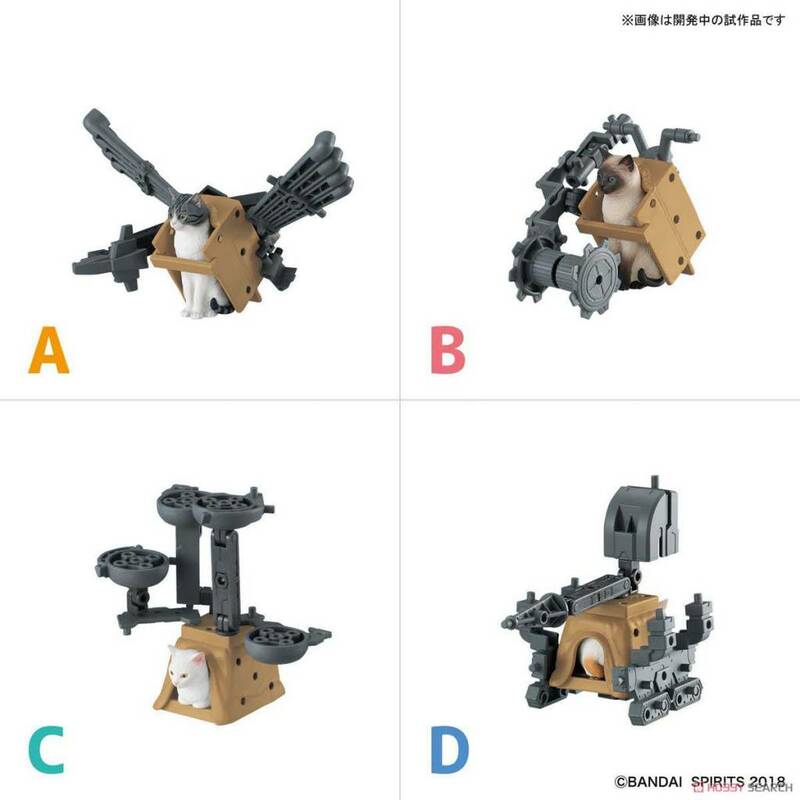 D is a barbecue sitting cat [Tobi Miketo] and a lizard mecha set.